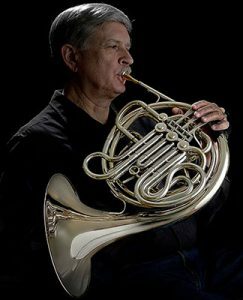 I started playing french horn in 1962 at the age of 10. My first teacher was Martin Morris of the Cleveland Orchestra. Other teachers included Willard Darling and Charles Weaver of the Detroit Symphony Orchestra. I spent three Summers at National Music Camp in Interlochen, MI, twice as a state participant and once as part of the international, eight-week program. Marvin Howe was one of my instructors that final Summer. I studied music education and horn performance at Miami University in Ohio under Nicholas Poccia. For the past 20 years or so, I have played and performed as a member of community orchestras, concert bands, various musical productions, horn clubs and church services. I had the privilege of being section leader as well as board member for the Judson Civic Orchestra in Elgin, IL. I currently perform with the Aiken Concert Band and Aiken Civic Orchestra. The following is my performance experience for stage productions and orchestra.